Function: An umbrella gazebo for relax and also suitable as a bar to be placed in the garden, beach or at pool side. 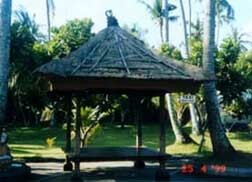 Function: A rectangular gazebo for relax or sleeping, suitable placed in the garden. The small one is also great at the pool side. 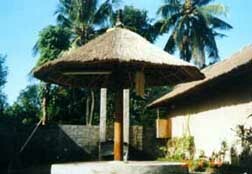 Function: Two storey rectangular gazebo with oval roof. 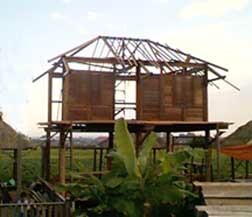 The first floor for relax and the second floor for sleeping. 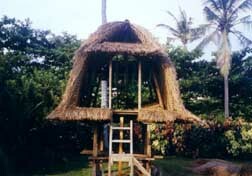 Function: Two storey rectangular gazebo with pyramid roof. Firs floor for relax and second floor for sleeping. Suitable to be placed in the garden.